Ashlyn + Ryan | Historic Apartment Session, Fayetteville AR. Ashlyn + Ryan live in the coolest historic apartment, and I had such a blast getting to document their love there! I think it is so important that you have photos of you and your significant other in every place that you call home, so you can have those memories forever. There is something so special about in-home shoots, and i’m so thankful for couples who think they are special as well. Hope you enjoy this sweet session! This little backyard clothesline session has my heart! It was so much fun gathering all of my linen clothes + old linen runners, and hanging them through our backyard. I honestly did not want to take them down after the shoot was over! Morgan and Clark seriously never disappoint. Their love for one another is so evident in every photo I took, and they are just the sweetest humans I've ever met. So excited to show you the full set from this session! 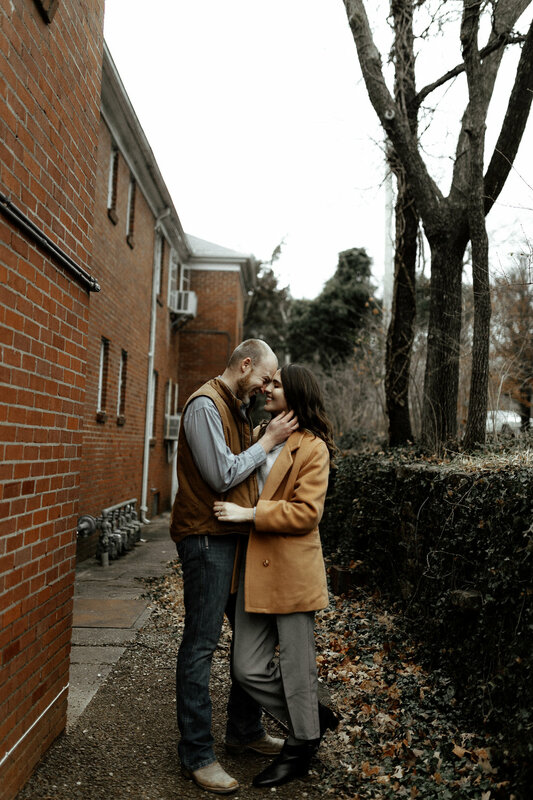 So thankful we got to meet up with these two lovebirds in Washington and capture their love! I seriously felt like we were old friends hanging out even though we had never met before. I think my favorite thing about photography is leaving a shoot and feeling like you have new friends. These two totally killed their session! I will never not be obsessed with this whole set. Ashlyn and Ryan are seriously the coolest couple, and I am so honored that I got to capture their love! They have a pet bunny named Bilbo and they live in the sweetest historic apartment overflowing in plants. Um, what more can you ask for? Anytime a client suggests shooting an in-home session I get so excited because they realize just how incredibly special they are. Years down the road I want you to be able to see how absolutely in love you are in each photograph. So basically if you are contemplating hiring someone for an in-home session please let it be me, and also DO IT. You will not regret it! Anytime you get a scooter, a couple who is madly in love, and puppy all together for a photo shoot, you know something magical is going to happen! It is so awesome whenever I go to a shoot, meet new people, and leave feeling like we are friends. I felt like I could have spent the whole night chatting with these two about our travel and adventures! It is seriously so cool that I get to connect with so many lovely couples from all over. This is why I love my job. <3 Also, how cute are these two?! Their love is so evident in every shot and I am so glad I got to be the one to capture it! This was Shelby + Jacob's first shoot together, and they absolutely killed it! There is nothing like a couple who isn't afraid to be goofy together. I love that they were totally open to running around, jumping on each others backs, and dancing together in the middle of the field. This shoot was one for the books!! A collection of images taken by The Harp Creatives, a husband and wife photographer duo based in Northwest Arkansas.